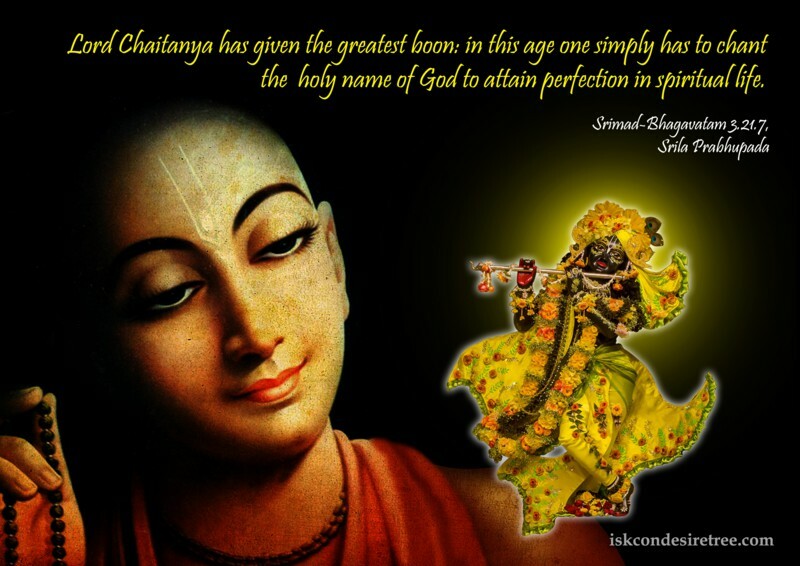 Lord Caitanya has given the greatest boon: in this age one simply has to chant the holy name of God to attain perfection in spiritual life. 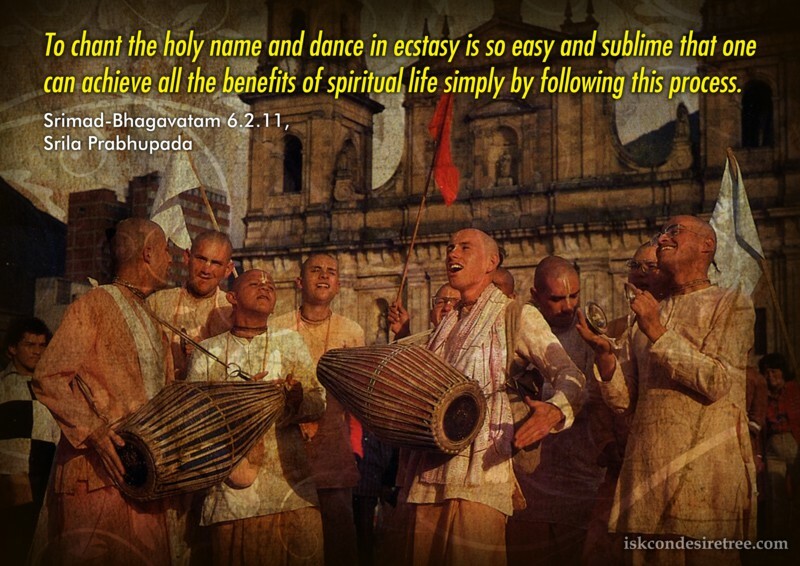 The holy name of Krishna is so attractive that anyone who chants it — including all living entities, moving and nonmoving, and even Lord Krishna Himself — becomes imbued with love of Krishna. 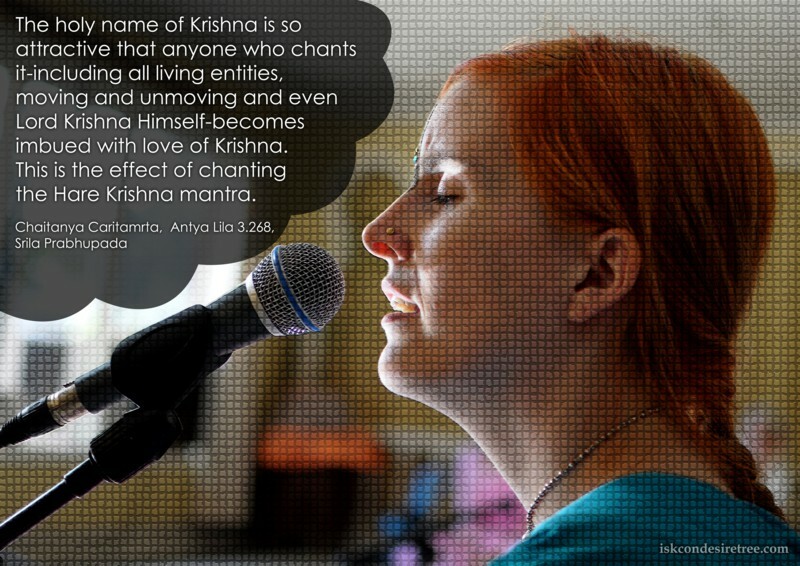 This is the effect of chanting the Hare Krishna maha-mantra. 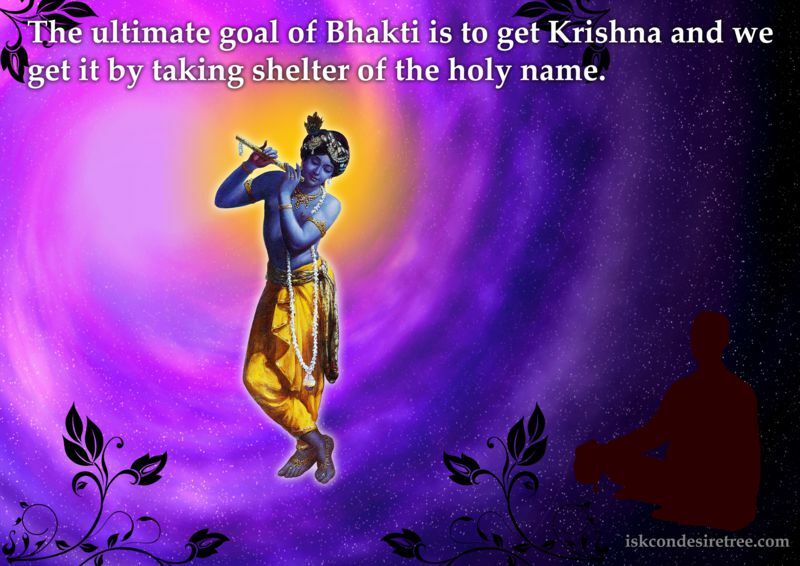 The ultimate goal of Bhakti is to get Krishna and we get it by taking shelter of the holy name. 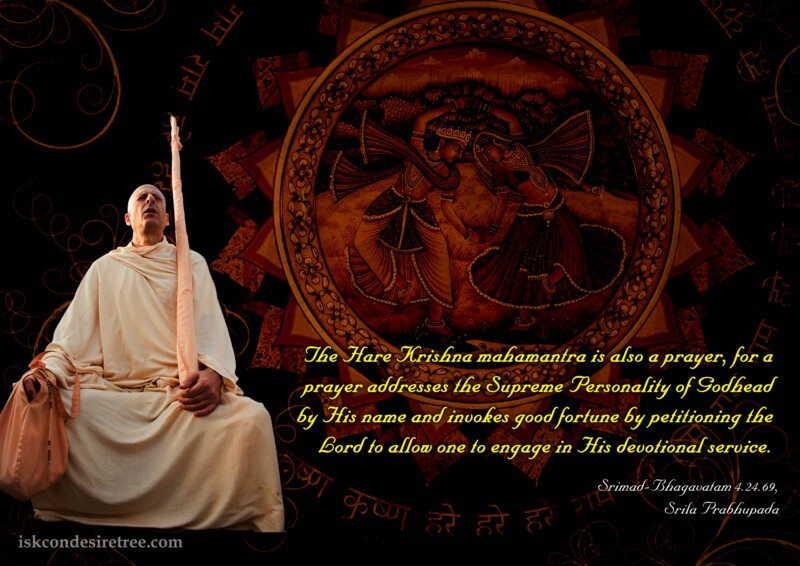 The Hare Krishna mahamantra is also a prayer, for a prayer addresses the Supreme Personality of Godhead by His name and invokes good fortune by petitioning the Lord to allow one to engage in His devotional service. It is the aspiration of a devotee that while he chants the Hare Krsna maha-mantra his eyes will fill with tears, his voice falter and his heart throb. These are good signs in chanting the holy name of the Lord.